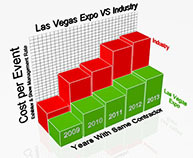 At Las Vegas Expo Complete Show Services, it’s almost a daily occurrence that I can’t even begin to count the number of prospective clients we engage with who want us to design a new custom booth but have NO Budget predetermined. Basically, let’s relate this scenario to buying a car. Obviously if you are in the market for a new vehicle, you have a finite amount of money you are willing to spend or a fixed dollar amount you can swing for monthly finance payments. While you might want to be driving a new Bentley Continental GT convertible out of the Dealership, if you can only afford a Kia Sorrento or a Cadillac Escalade SUV then that’s what you are shopping for. Why then would you shop for a new display without having some monetary budget parameters? We design & build booths from 100 sq. ft up to elaborate double deck exhibit environments of 50,000. Sq ft. As you can imagine….that is an enormous price range differential. We love designing new state of the art displays with cutting edge technology. We are thrilled and enlivened by the design process. It’s what we do and we do it well. And, we give our clients the biggest bang for the buck. 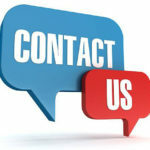 With pricing that is below the prevailing market, we consider our ability to fabricate inviting, enticing and wow inspiring exhibits somewhat magical. It’s our badge of honor that we can give our clients more (more large format graphics, video treatments and high end substrates) for less cost than our competition. Although we are budget magicians we can’t deliver that Bentley when you only budgeted for the Kia. Whether it’s a modular aluminum, tension fabric, cam-lock Hardwall or hybrid exhibit structure, having a budget figure as a starting point is critical in the design process. Telling us what you like aids the process. Back to the car analogy…..what do you like…. an SUV, a convertible or a ultra luxury sedan? By openly sharing your “wants” and what you “hate” is as essential as having a dollar amount of what you want to spend. An entire video floor is bold & eye-catching yet for some firms with highly technical market niche products, it might be a distraction in their exhibit environment. We understand the trepidation for clients to not want to reveal the dollar amount they are looking to spend. Here’s the revelation….we aren’t like other companies. If you tell us you have $10K to spend, we will give you a boatload of options within the price point. If you have a budget of $200K, then we will design a spectacular environment that is jam packed with creative graphics, lighting, flooring and every imaginable top shelf branded component.. What we won’t do is rip you off with a half hearted design at a heart attack price. 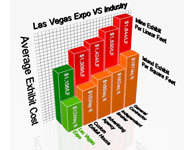 We will give you the most cost effective awesome booth on the show floor at pricing that works for both you and us. Sadly, we know that companies will design to Budget figure with the emphasis being on wringing the most profit out of the job. So, many times the client gets very little for their money. We are the rare breath of fresh air operating with a business model based on value, fairness and integrity. Don’t get me wrong…we are a capitalist firm that very much likes profit…we just aren’t looking to gouge clients to extract the most profit we can from every job. 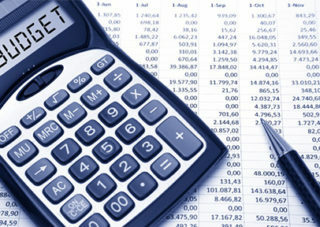 Rather, we work with a fair profit margin, which in turn yields great pricing for our clients. Providing costs projections for new builds by the Display house is as important as being candid about what you would like to spend. Having a financial target allows the Design team to balance and integrate the need for Digital activations such Brand Engagement, Audience attraction, Game-ification for attendees, Brand experiences, Experiential Marketing or Mass Personalization within your Trade Show Display.